When we get a prescription from a doctor, most of us simply give the prescription to the pharmacist, listen to their instructions about taking the medication and take it home. What many of us don’t realize is that pharmacists are one of the best medical resources available. 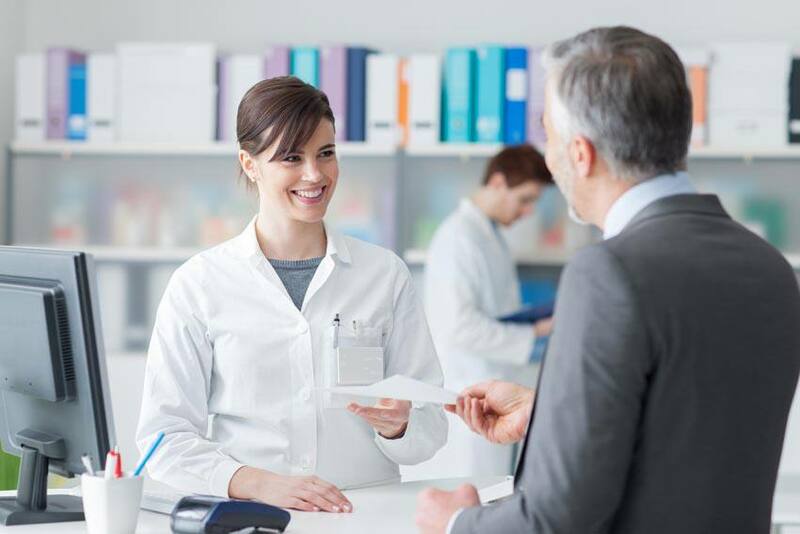 Whether you have a simple health-related question, are not sure which over-the-counter medication to choose or are filling a new prescription, pharmacists can answer your questions and guide you when you start a new medication. How high is the risk of side effects? Most medications have side effects, and many have dozens of them. However, what prescription inserts don’t talk about is the likelihood of actually experiencing these symptoms. Although this might be scary, many potential reactions may be rare; your pharmacist can shed some light on the possibility of the side effects of your new medication and can put your mind at ease. Some medications need to be taken with food, some should be taken on an empty stomach and others may react with different foods. What you eat can impact how your medication works and how your body absorbs it. Ask your pharmacist about foods you should avoid while taking the new medication. I am on another medication. Is it safe for me to take the new medication? Many people take multiple prescription drugs. It’s important to tell your pharmacist about what you are currently taking when you fill a new prescription. This information will help the pharmacist understand potential issues associated with you taking the medications together. Some medications can cancel the effects of others or make them less potent. A combination of certain medications could also pose a risk to your health. Is there a more cost-effective alternative? Cost is often a concern when we fill a prescription. Regardless of whether you have health insurance, ask your pharmacist about other, cost-effective medication options. Often, generic (non-brand) drugs are less expensive and just as effective. Many pharmacists have spent more time studying prescription drugs than your family doctor has. Pharmacists are experts in this area, and you should take advantage of their services to ensure you are making the right decisions about your health. If you are concerned about the rising costs of prescription drugs in Ontario, consider private health insurance to help offset the costs OHIP doesn’t cover. Get a free quote for prescription drug coverage.